On Tuesday, Feb. 27, the first players report to the NFL Combine in preparation for the upcoming NFL Draft. Nebraska has not sent more than four players to the NFL combine since nine went in 2011, and the Huskers sent two last year. This year, kicker Drew Brown, offensive tackle Nick Gates, cornerback Chris Jones, safety Joshua Kalu and quarterback Tanner Lee were all invited. On the Tuesday edition of Hail Varsity Radio, Chris Schmidt spoke to ESPN draft expert Todd McShay as we are in evaluation season for the draft. McShay opened up, sympathizing with some of the frustrations Husker fans are feeling in recent years about the draft process and about some of the Huskers entering the draft. “It’s frustrating if you’re a Nebraska fan," McShay said. "Now you have Scott Frost coming, but UCF is going to have the more impressive group of guys coming in starting with Mike Hughes in the first round, the cornerback, than Nebraska will. Safety Joshua Kalu was thought to have a bright future in the NFL once he made the switch from cornerback. McShay discussed what he sees in Kalu as well as what he wants to see from offensive tackle Nick Gates during the draft process. 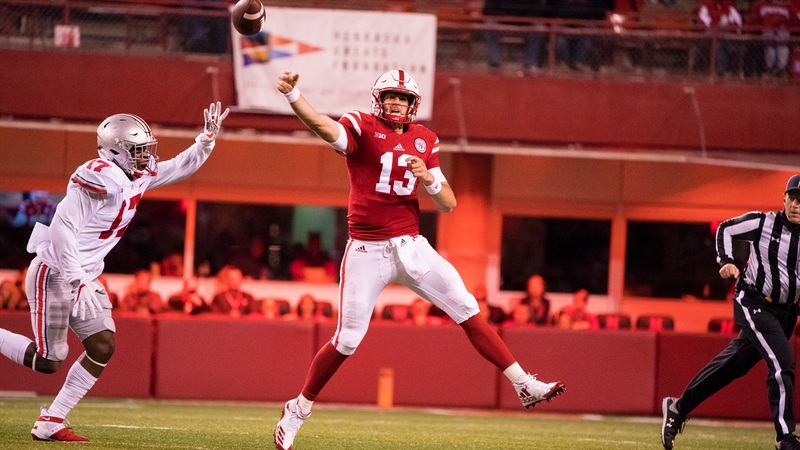 Last season, there were frustrating times with quarterback Tanner Lee and there were times you truly saw NFL potential. Lee threw for 3,143 yards, 23 touchdowns and 16 interceptions while completing 57.5 percent of his passes. So, what does McShay think of Lee’s draft stock? The NFL combine runs from Feb. 27 to March 5 at Lucas Oil Stadium in Indianpolis. The NFL draft is from April 26 through April 28.